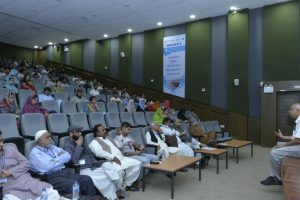 Dr. Zeeshan Khatri, Professor at Department of Textile Engineering, Mehran University of Engineering and Technology (MUET) said that Pakistan, due to various persisting problems and challenges, is one of the best for opportunities of entrepreneurship and particularly technopreneurship in the world. 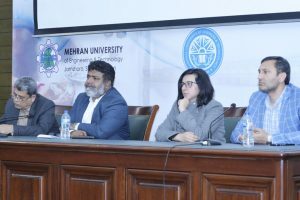 Speaking in the Graduate Seminar on Technology and Entrepreneurship: Ecosystem of Universities of Pakistan held at U.S.-Pakistan Center for Advanced Studies in Water (USPCAS-W) MUET Jamshoro on Friday. Dr. Khatri said that the passion is the most effective motivator for an entrepreneur while a businessman only focuses on the profit. He noted that entrepreneurship is the mindset for an idea generation and innovation and value addition while technopreneurship is the value creation by the use of technology in the products.Dr. Khatri said that the technology is not for love or hate but the proper utilization. He said in the market customers always try to find the uniqueness in the products so in this way the entrepreneur innovates and customer validates the products. 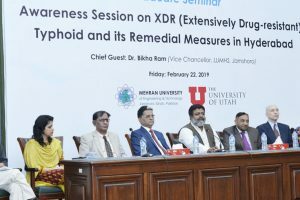 Speaking on the importance of the technology, Dr. Khatri said that technology plays a vital role in the innovation and transformation of the product for its utility. “Successful entrepreneur is who believes in the achievable dreams, and for entrepreneurs, big problems are the bigger opportunities,” he added. Dr. Khatri opined that the days of the time management were gone, now it is time for energy management efficiently and effectively. He said through effective and efficient energy management, the sustainable solutions for various daily life problems can be sought out. On this occasion, USPCAS-W MEUT Deputy Director Prof. Dr. RasoolBux Mahar introduced Dr. Zeeshan Khatri to the participants of the seminar. 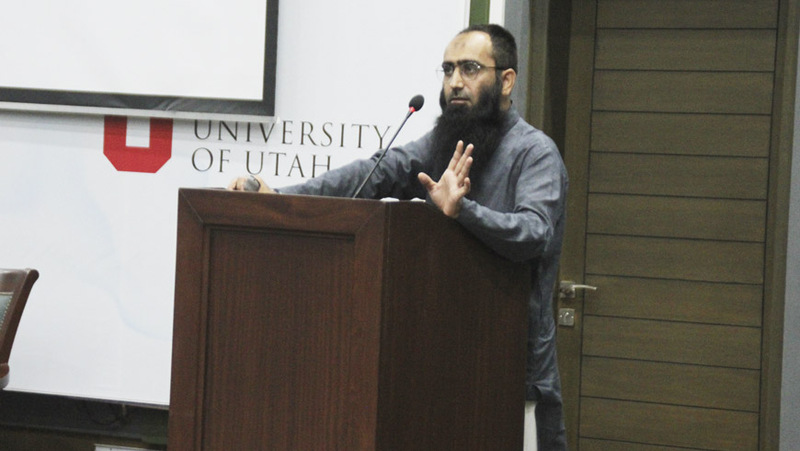 He said that Dr. Khatri is one of the top faculty members of MUET having the highest impact factor in the university and a maximum number of registered patents. He told that Dr. Khatri is also a Co-founder of NanoCLO and Chief Executive Officer (CEO) of MuTech (Pvt.) Ltd. Dr. Mahar said that the USPCAS-W has been established at MUET with the generous support by U.S. Agency for International Development (USAID) Pakistan under the cooperative agreement at MUET and technically supported by University of Utah (UU), USA. He said that the Center had been equipped with modern water laboratories to conduct applied research in the water sector in Pakistan. The USPCAS-W Students attended the seminar and also participated in the question-answer session of the graduate seminar. American People’s Continued Support for Pakistan Water Resources!